Great work yesterday on the video, friends! We surpassed 4000 comments last night, which is INCREDIBLE for a first-day video. To put it all into perspective, the video for "Awakening" has 5,991 comments – TOTAL. ~high fives all around~ Switchfoot would be proud of you all! Also, it can now be seen on the second page if you click on the "Videos" tab at the top of Youtube.com! ^That is some major damage done! We've accomplished so much, and the video has amassed over 4000 comments and over 1000 ratings. Today is the last day our video will be eligible for the "Today" honors, but we can go for "Monthly" honors! Also, part of getting a video to go viral is to spread the song like a virus ourselves! 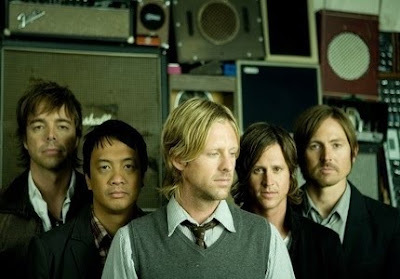 Keep sharing it with your friends, tweeting about it, posting it on Facebook and Myspace, and just saturating your surroundings with the sounds of Switchfoot! We can do it! We need to give the song as much momentum as we can before it gets sent to radio (sometime this week). - "Mess of Me" has been added to the Albany, NY Alternative station, WEQX! We'll keep you updated as more adds start to come in. It's officially available for adds at Alternative/Modern Rock and Active Rock radio this week. And last, but certainly not least, our newest writer Bleah makes her debut with this FootColumn she wrote up! Give her a big round of applause guys! Go HERE to read it! YOU ROCK BLEAH!